The most effective form of reforming retail space is adding shelving units. No matter the form, these units will make the most use out of the space, giving room to various products. For example, a single-sided or wall unit could be great for pharmacies looking to add space for cold medicine or various bandages. Double-sided island gondola units help create store aisles, but that’s not their only use. A liquor store could utilize smaller shelves to showcase different wines picked up by local or specialty vineyards, for example. They come in various heights to serve different purposes. Convenience stores may prefer shorter shelving units to maintain a clear line of sight with all of its customers, while at the same time giving said customers a clear view of what the store has to offer. Hardware and grocery stores may prefer taller units to provide a greater variety of products on the retail floor. DGS Retail is a wholesale distributor of Lozier gondola shelving units. The leading manufacturer of store fixtures, Lozier offers a distinct level of durability and reliability, as well as a consistent form that can be used anywhere for any sort of store experience. Lozier units, which come in island, wall, and end cap forms, vary in height from 36 to 120 inches, with base depths from 16 to 34 inches. Can’t find the right size? Let us know, and we’ll be able to assist you. In addition, DGS Retail distributes gondola shelves from Madix. 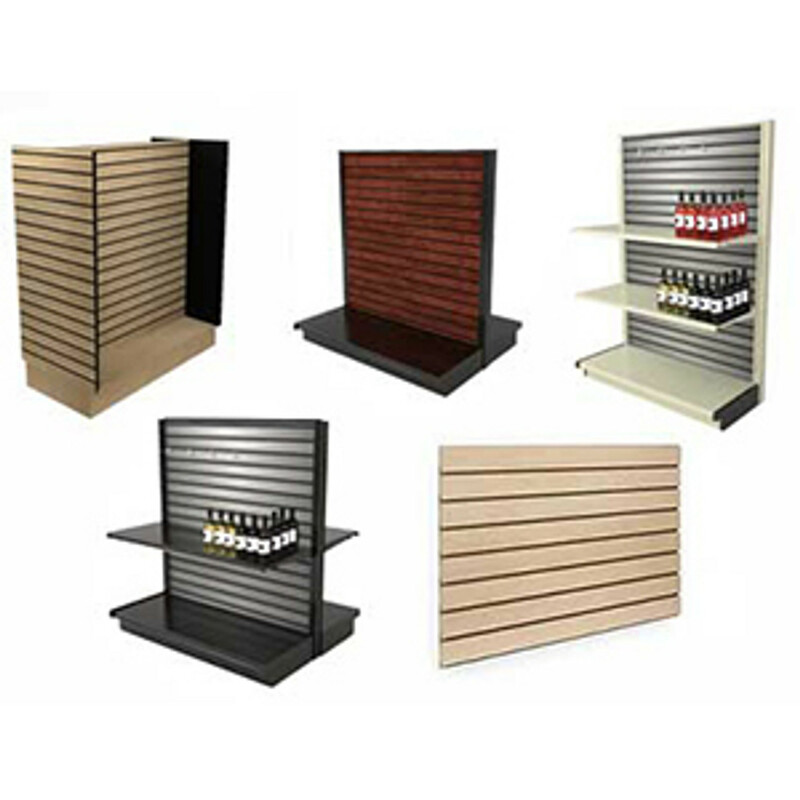 The company provides a variety of shelving units that provide maximum flexibility for retail. With various solutions for promotions, merchandising and more, Madix covers a wide number of stores, from electronics stores to health and beauty shops. Knowing how to operate a liquor store or opening a wine store is half the battle. Keeping liquor store inventory costs under control and obtaining or maintaining a liquor store license are some of the top priorities in managing a retail store in the liquor industry. The right liquor store shelving and commercial wine racks go a long way to assist you in running a successful business. You can rely on DGS Retail to help with some of the daily challenges related to liquor store supplies that you overcome in this retail business. Supplying the liquor, convenience and grocery industry since 1979, DGS Retail is an expert in the field. Unlike standard supermarket gondola shelving, liquor store shelving is different. 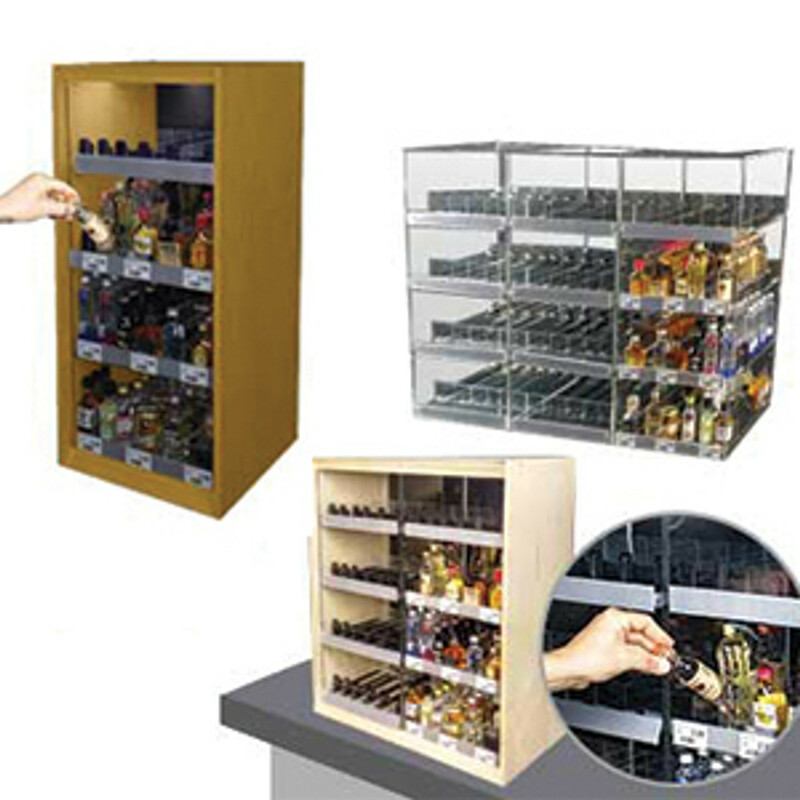 Liquor and wine bottle dimensions have to be considered in determining what capacity of bottle inventory that your store or department can reasonably display. When it comes to liquor store design DGS Retail can help owner operators or managers with merchandising ideas, tips and most importantly, answers. 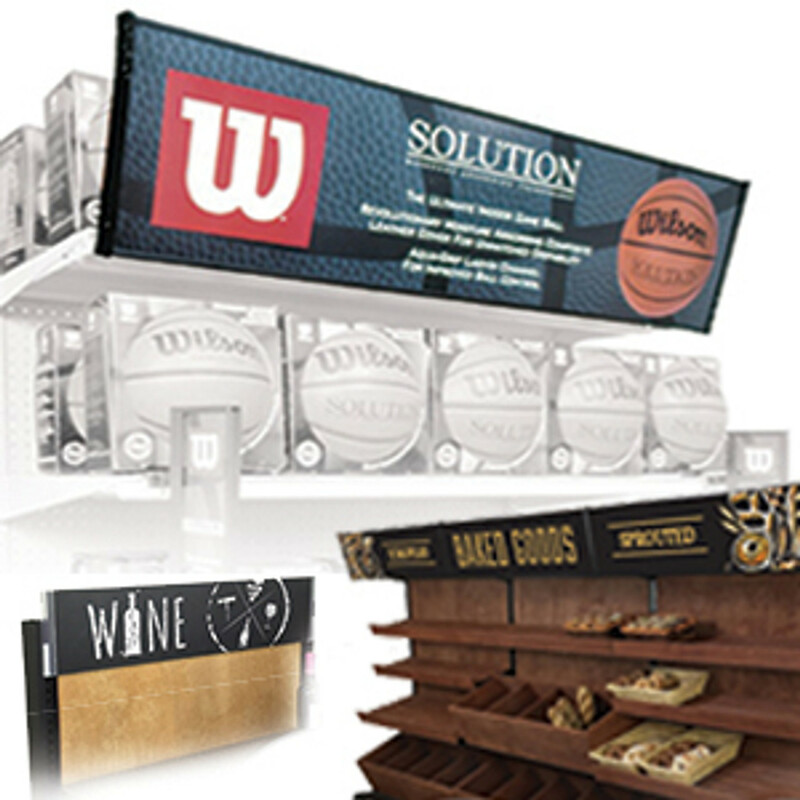 Package stores, convenience stores and wine shops all require store fixtures to operate. DGS Retail offers liquor store shelving and commercial wine racks that will compliment your bottles and locally crafted or locally sourced wines and liquors. DGS Retail offers steel black gondola shelving and wooden wine store shelving that compliments your liquor inventory and bottle selection. Our gondola shelving is engineered to perform in your tough retail environment. We design our metal shelving, wooden gondola systems and wood wine racks so that they are strong enough to support the heavy weight of liquor and wine bottles. DGS Retail's unique store shelving is available in multiple sizes. 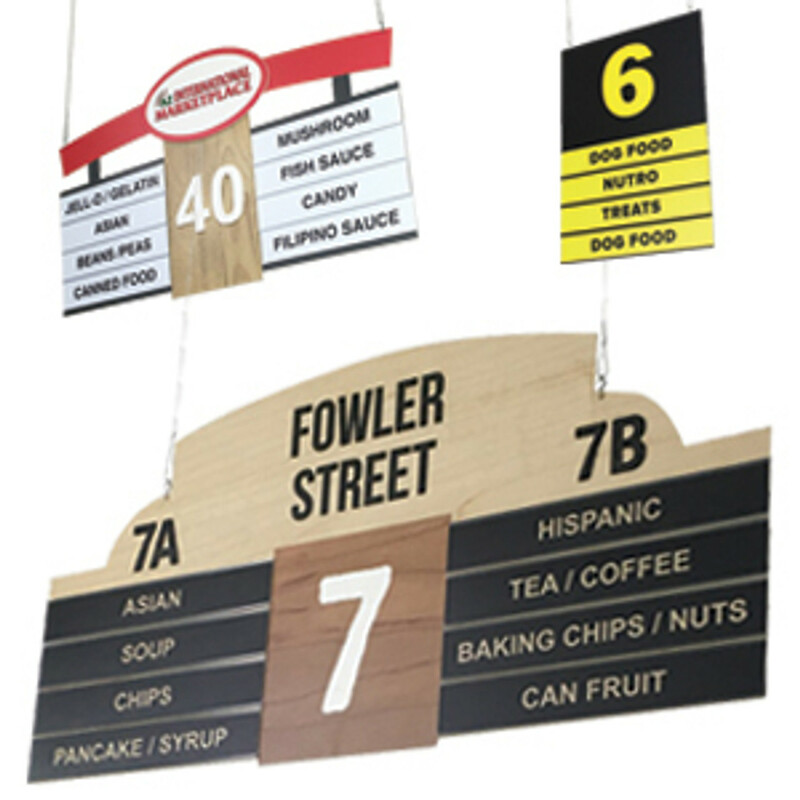 The store fixture heights vary from 48" high to 96" high. We can create individual walk-around islands or double sided gondola units to complete wine aisles or even your whole store. Our systems tend to be modular so that they can be made in different sizes to be able to accommodate unique store floor plans. Because we are a gondola shelving manufacturer we offer wholesale shelving pricing on a variety of different store shelving systems and commercial racking. Many of our items are in-stock and can ship the day we receive your order. We have an extensive selection of liquor store equipment, liquor store fixtures and even instore signage solutions developed for the spirits industry. Your choices in liquor store shelf options include wood gondola shelving. 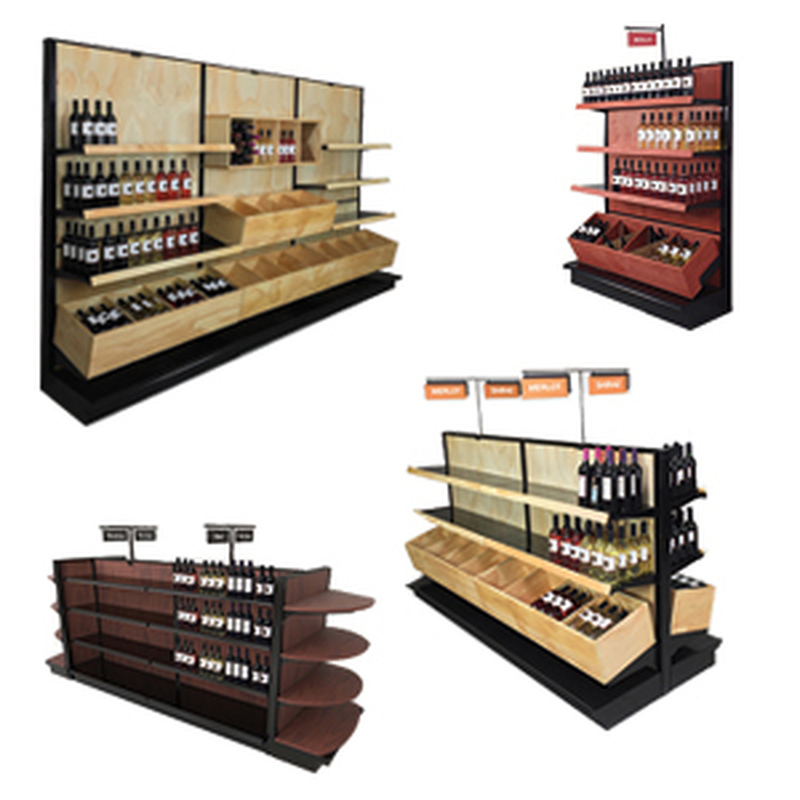 This is a modular system that adds authenticity and elegance to your retail selling floor. It's ideal for wine stores, convenience stores and even gift shops. Our wooden shelving system is hand stained by our craftsmen in our factory. You can choose from over 30 different DGS Retail premium wood stains and we do this at no additional cost. The wood shelving can be added to our black gondola shelving. We offer vertical slatwall and slatwall gondola shelving systems. These also can be custom stained to create the perfect look in your store. Slatwall merchandising can give you the warm look of a wood design with the versatility of peghook merchandising. For a more see-through shopping environment we offer gridwall gondola and gridwall panel displays. 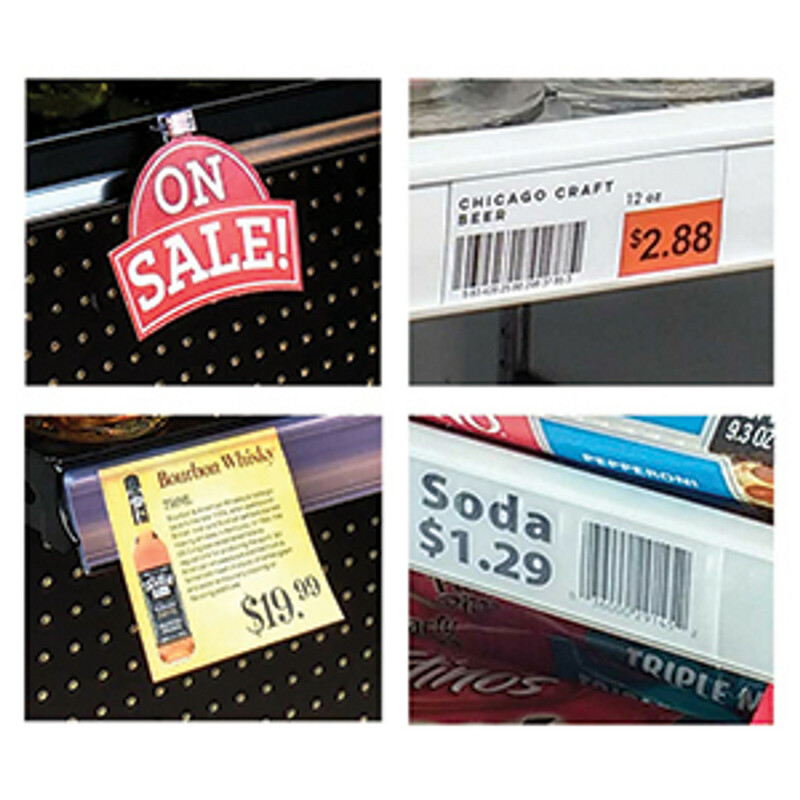 These are a low cost method to add functional store fixtures in your store that also have the benefit of being able to see through the display. This creates an airy and open feel to the store. Gridwall panels also have the advantage of being able to peghook product to them. For a more conventional look we offer regular pegboard gondola shelving as well. This is offered in black, white and other custom colors. 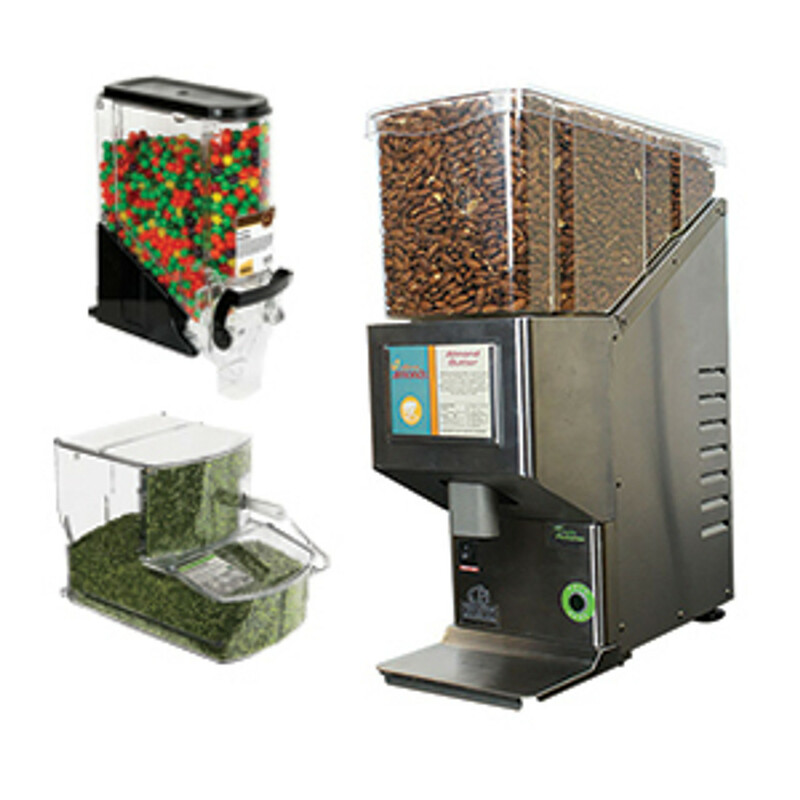 We offer an array of liquor store fixture solutions and supplies. 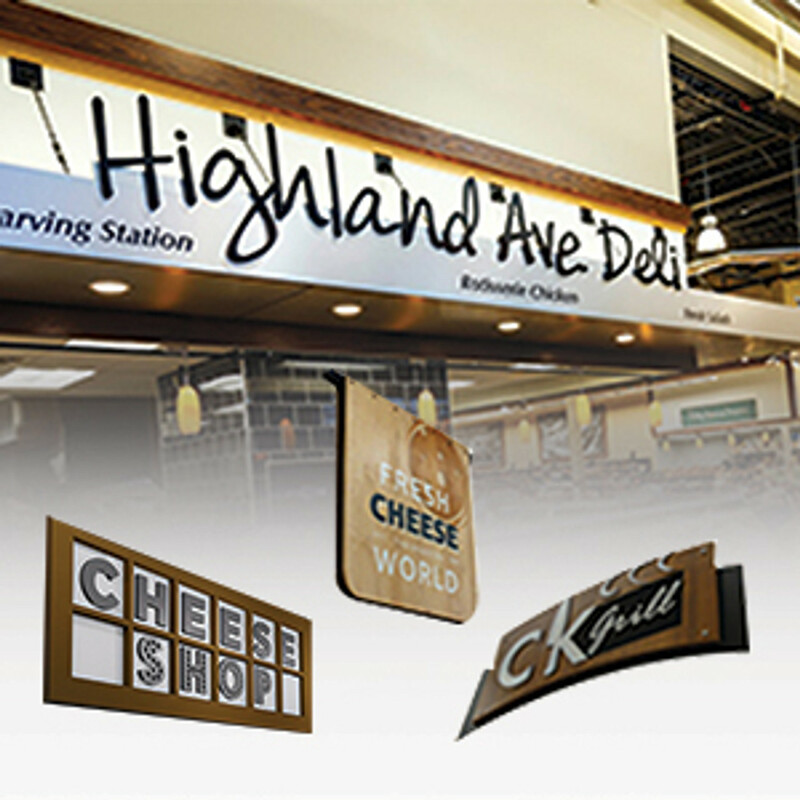 From slatwall panel displays, custom stained wood gondola shelving and gridwall panel displays we have you covered for all you store layout needs. DGS Retail also sells regular pegboard gondola shelving at a discount. Our complete line of accessories is engineered to to work with our store shelving and racking systems. 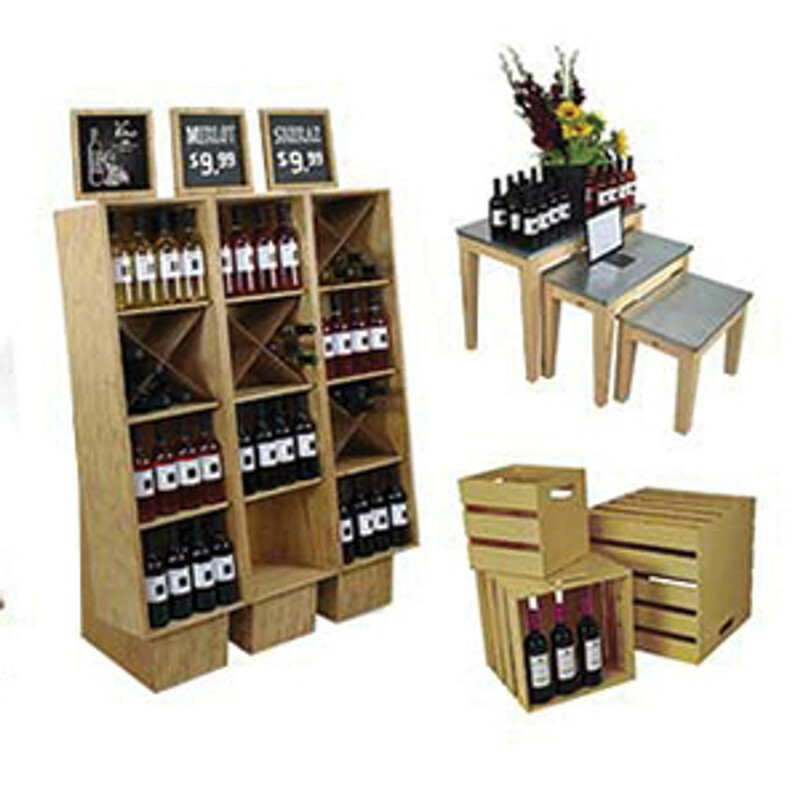 These are used to create high performance retail shelving displays in your store. Every beer, wine & liquor bottle is different and needs to be merchandised effectively to sell. Merchandising wine bottles or locally brewed beer is different than merchandising smaller items or food as an example. 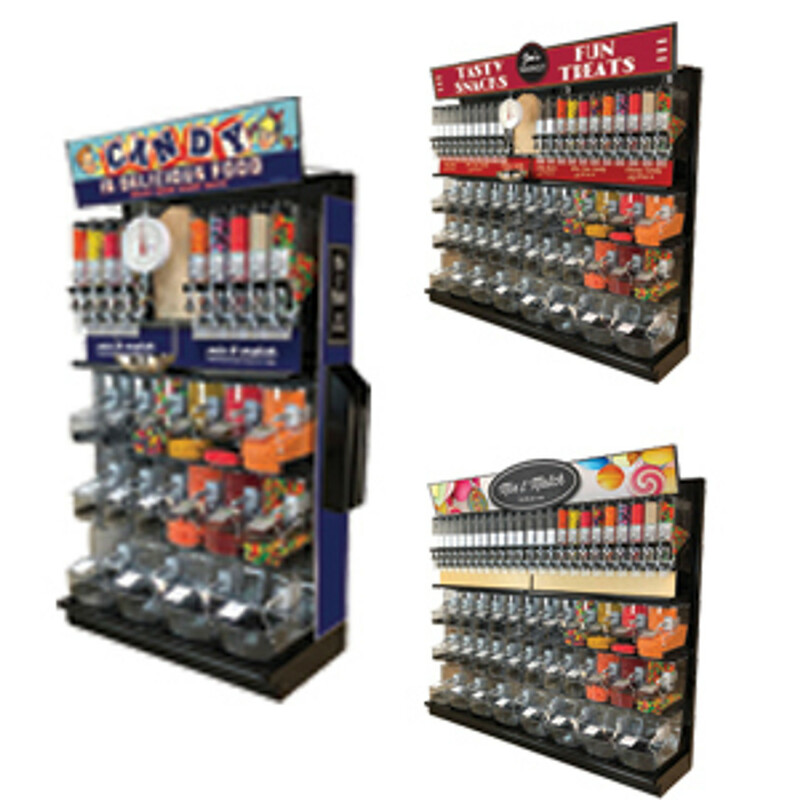 To accommodate modern store design DGS Retail has developed an extensive line of gondola parts. 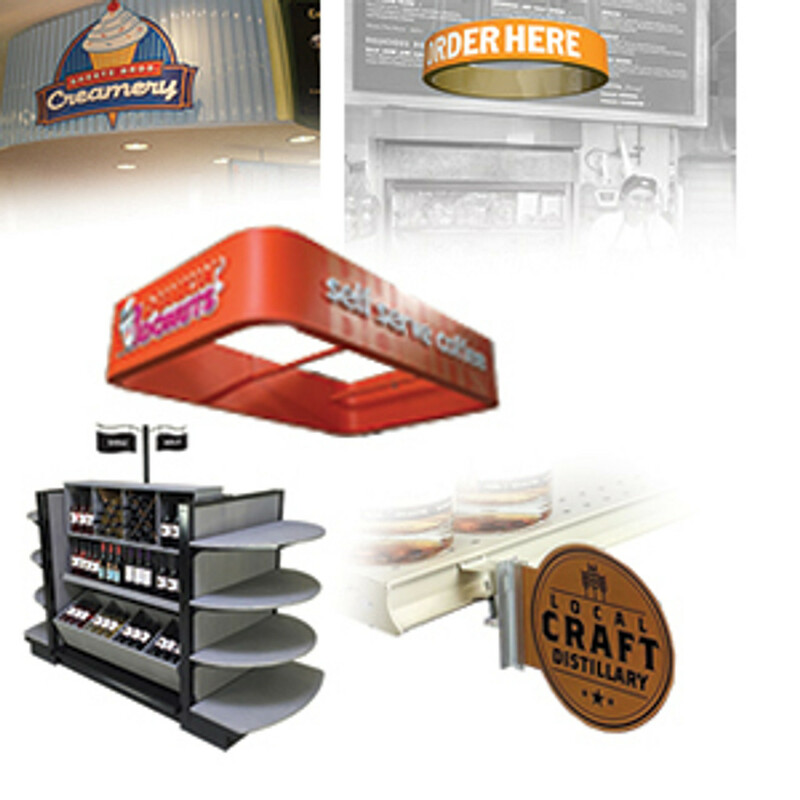 This includes a variety of cross bars, hangrails and custom peghooks specific to wine & convenience stores. Our store shelving is sold in both double sided gondola island racks and wall shelving displays or single sided gondola units. 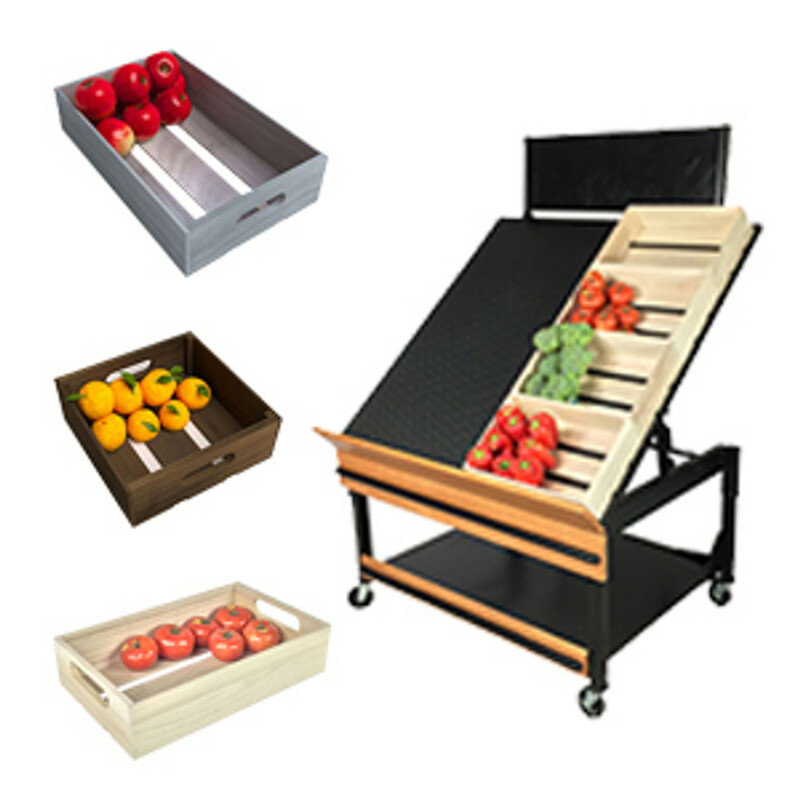 There are many gondola shelf types, widths and depths to choose from. We offer a variety of shelving parts and accessories from hang bars and dump bins to wire baskets and wood wine crate display ideas. 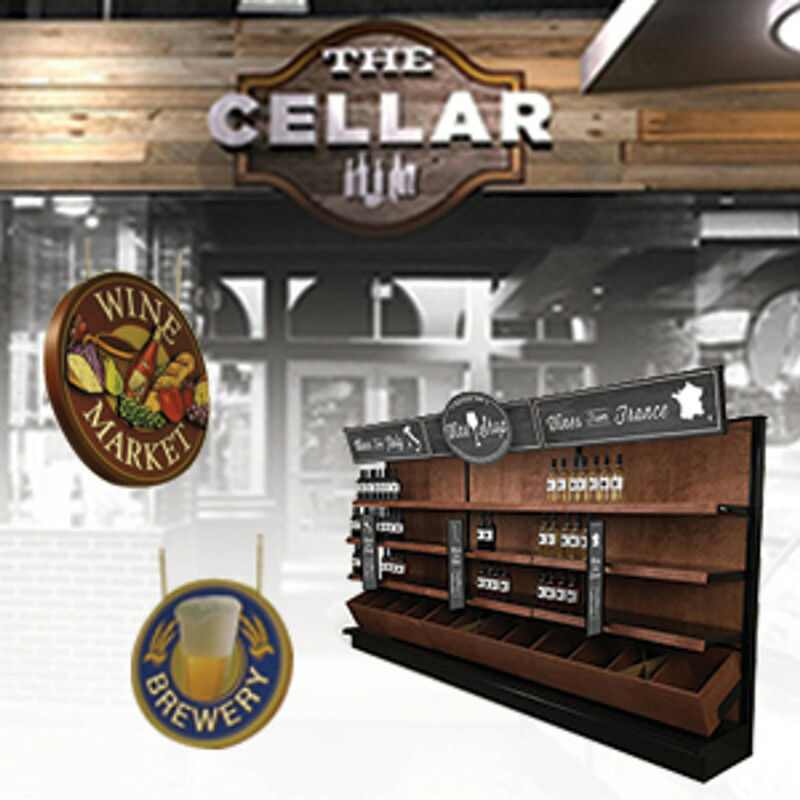 Choose from a complete display that includes point of purchase signage or we can create a custom free liquor store design layout specifically for your store or shop. We manufacture in volume and pass the savings along to you so you can rest assured that you’ll receive wholesale prices on our racks and displays and get a high level of customer service as well. Entice your customers by displaying your different kinds of breads, bagels, pastries and prepared desserts on gondola store shelving, wood slatted shelves, bread racks and pastry cases that are specially designed for retail bakeries, patisseries, coffee shops and delicatessens. You work hard to bake the best cakes, pies and cupcakes for your community. Artisan breads and gluten free bakery products are enjoying double-digit growth in sales due to interest in artisan bread recipes. Showcase your old world loaves and ethnic variety freshly baked breads on a display that will match the quality that you put into your baked goods. DGS Retail has been on many store owner's and manager's bakery equipment lists as a vendor since 1979. We are a wooden gondola shelving manufacturer and a custom wood store fixture builder. 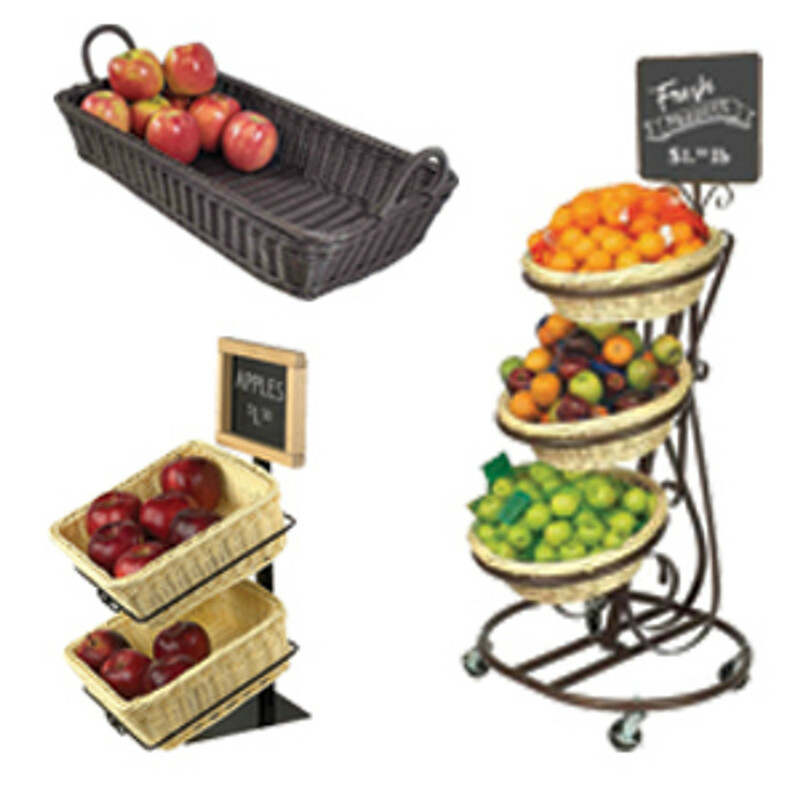 Select store fixtures and shelving from our wide online assortment. Additionally, DGS Retail supplies some of the hottest trends in retail interior design ideas and we provide bakery signs and bakery design services. For assistance with your store interior design check out our available design services here: Free bakery interior design layout offer. DGS Retail’s line of bakery display shelves and bread shelving features a 100% steel structure design that’s full of rich wooden trim and shelf details. As customer demographics continue to segment due to an ever more diverse population it is important for those in the fresh baked goods industry to try to market to them. The bakery industry continues to grow and has surpassed $50 billion in North American sales recently. Reach the right shoppers with a well thought out visual merchandised display that includes all associated signage and segmentation. With natural ingredients being such a big draw in bakery products shouldn’t your bread display shelves also look natural? With wood slatted shelves that act as bread cooling shelf racks your naturally made breads, cakes and pies will look great and will attract the attention that they deserve. Our bakery display shelves are sold in double sided gondola islands or single sided wall display models. We can outfit your entire store or just a special department of it. The wooden slat shelves are offered in multiple depths for increased capacity. Woodbin shelves are also available. 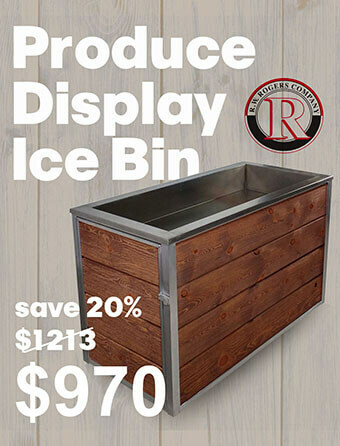 These act as retail dump bin displays are ideal for displaying packaged baked goods, bags of rolls or even loaves of bread. DGS Retail has bakery tables, bakery euro style tables, orchard bins, display cases and wooden bins to outfit your bakery, patisserie or coffee shop. 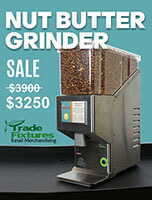 Advertise your bakery business with a fixture that’s as appetizing as your freshly baked goods. Most can be custom stained to match your store decor or interior design theme. Create a focal visual merchandising display with our solid wood nesting tables, wicker display baskets and tabletop sign holders. DGS Retail has food risers and buffet or catering stands that can be used to create a stunning food display of your best baked items. Most wood risers can be stained from your choice of colors. Sometimes referred to as buffet stands or acrylic food risers these can be used inside bakery cases, racks or on a countertop to create a mini point of purchase display. 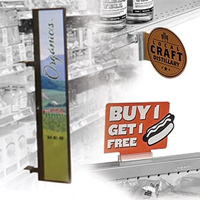 Used to design product focus displays and seasonal food merchandising displays these can be used throughout the bakery or grocery store. Arrange them in groups for a promotional advertising display or a table centerpiece display. 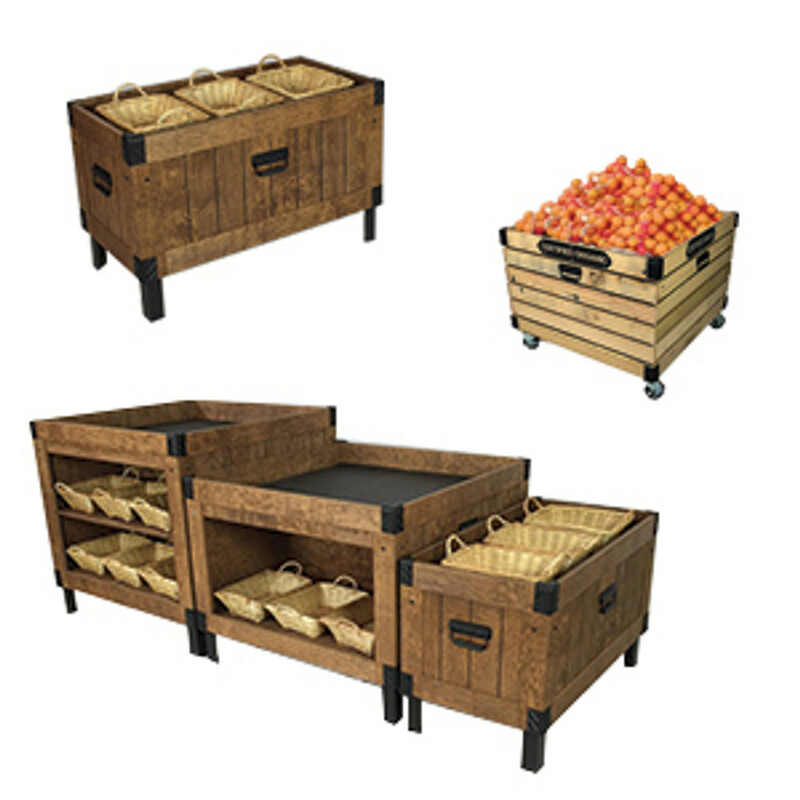 DGS Retail sells tiered basket displays, wicker baskets for food merchandising and wooden crate displays for retail applications. 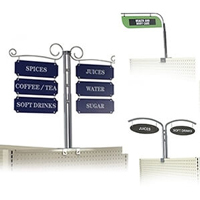 Add small sign holders and tabletop signs for a complete visual merchandising or store designer look. Shelves on their own can work in most situations for retail. However, customization is often necessary, and adding accessories can be of great use when adjusting to need. For slatwall shelves, inserts can increase the durability of the shelving or add a distinct design accent that impresses customers. A bakery could utilize dump bins to stock freshly-baked baguettes, alongside custom shelves specially made for bread. Stores can draw attention to promotions or give a special flair to current products by adding a gondola header or aisle sign atop the shelf. There are many ways to make store aisles stand out with gondola shelving. As the economy continues to grow, stores have multiple opportunities to improve their space. They can increase the number of products they have available to customers. But more importantly, they can have flexibility in how they lay out their stores. Whether the goal is to better specialize each product section, expand the stock available on the store floor, or provide better visibility to promotional items, retail store managers seek to redevelop their space so as to drive sales. This is where gondola shelving in different forms come into play. A shelving unit isn’t complete without a proper set of a shelves. How stores uses these shelves can highly depend on the situation and type of business offered. A pharmacy will likely have aisles where the products being offered are very small. That allows for a greater number of shelves to maximize the number of products immediately available to consumers. Appliance stores may want fewer shelves that bear a greater load, so as to put larger items such as vacuum cleaners on display. Size and angle adjustment are also important. Need to max out stock and put everything on display? Stores will likely want the same depth shelves covering their aisles. Want to provide a better view of products on display? A cascading shelf approach may work best in this situation. Some products are also best viewed while laid on their sides rather than upright, which is where a downward slope angle may prove useful over a flat position. The recent effects of the global economy have only worked to reinforce some trends in food marketing. This includes the continuation of channel blurring where various food categories can be found in non-traditional retailers. The fresh produce industry is no exception to this. Grocery store managers, retail store designers and retail architects are interested in advertising fresh produce to their shoppers. 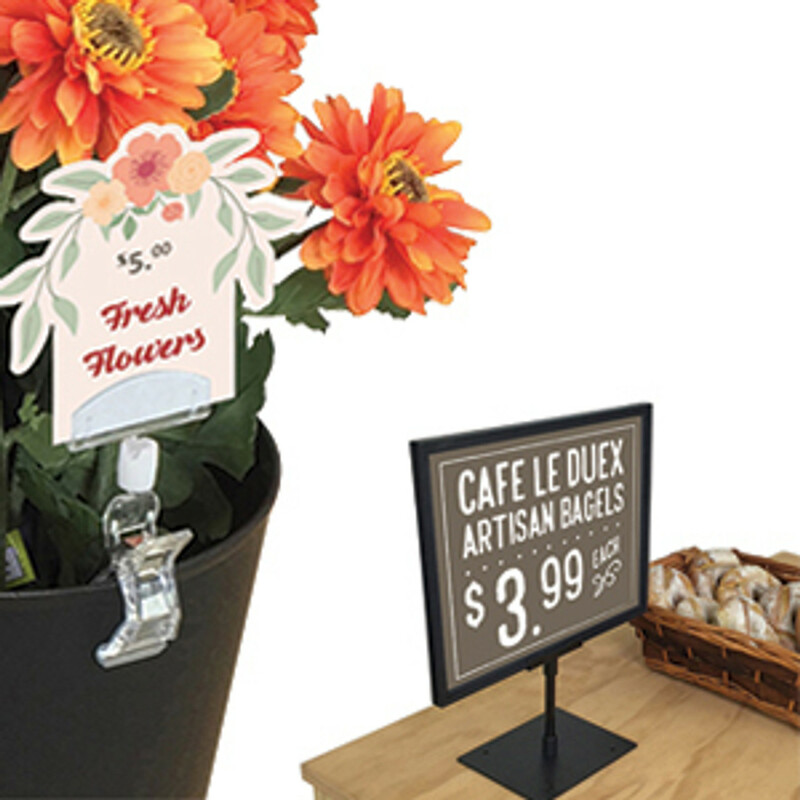 At over $60 billion in annual sales and growing it’s no wonder the industry is constantly on the lookout for new ways to advertise fresh produce through signage and retail displays. Fresh produce is one of the largest growth areas in the grocery industry. Most grocery shoppers have online alternatives to many of the products displayed with traditional grocery store merchandising ideas. In fact close to 10% of America consumers already shop for groceries online. However, the fresh and prepared foods that are usually located in the perimeter or outer race-track of the store continue to drive more than their share of sales. Because of this produce sales are still growing. 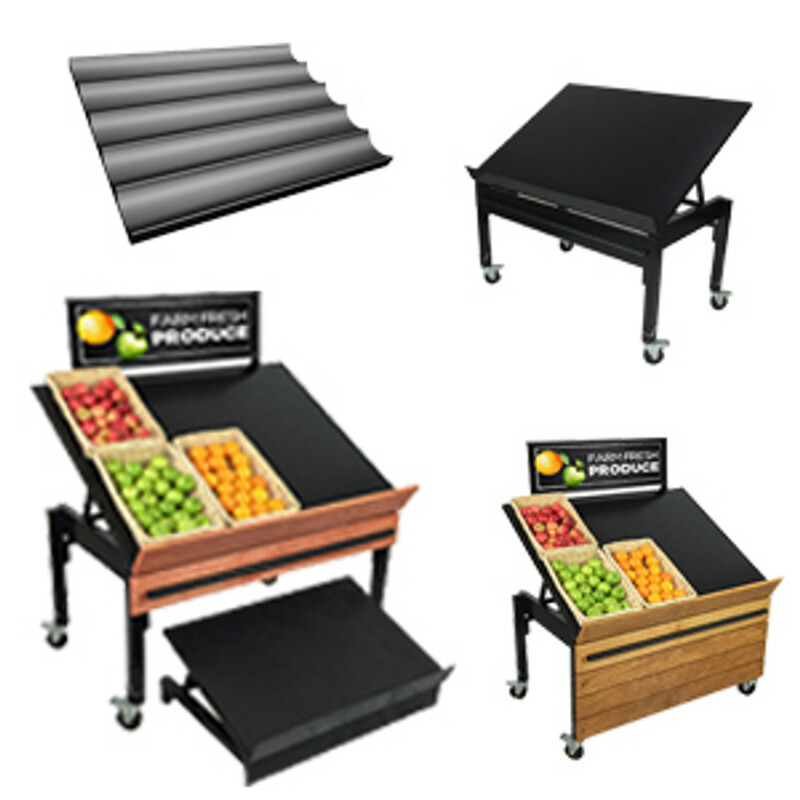 Our studies have also shown that promoting produce display ideas along the perimeter of the store will increase sales in the center of the store as well.